Last edited by Bluenoze87 on 2016-Oct-Thu-11-10, edited 6 times in total. So for Max Pacioretty would we need to draw A and T twice? 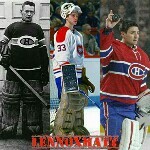 lennoxmatt wrote: So for Max Pacioretty would we need to draw A and T twice? Last edited by Bluenoze87 on 2016-Jul-Fri-04-07, edited 2 times in total. Added a Maple Leafs card for you folks. I'm having trouble getting the Excel link to update, I may have to find another way to make it so everyone can see their letters. Got it working! Updated after last nights breaks.